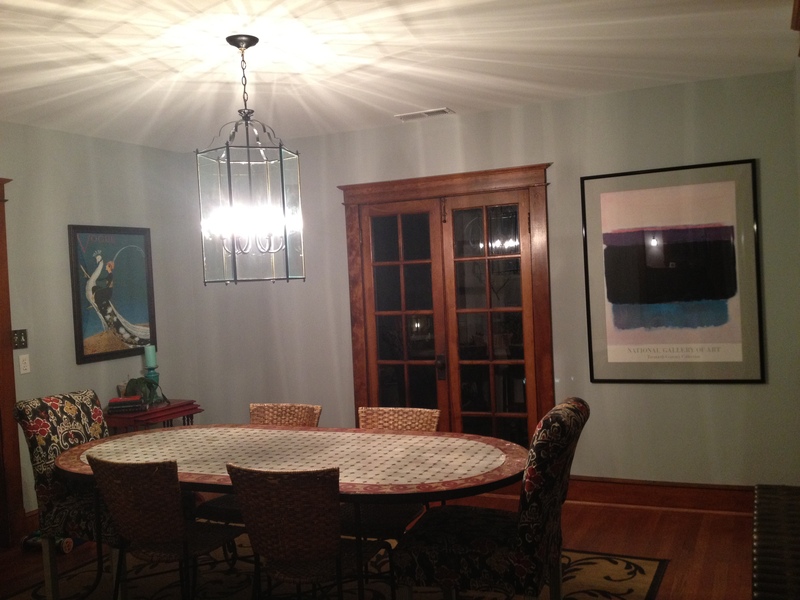 I had this idea that I would replace the light fixture in the dining room with a fa-beaux new one. 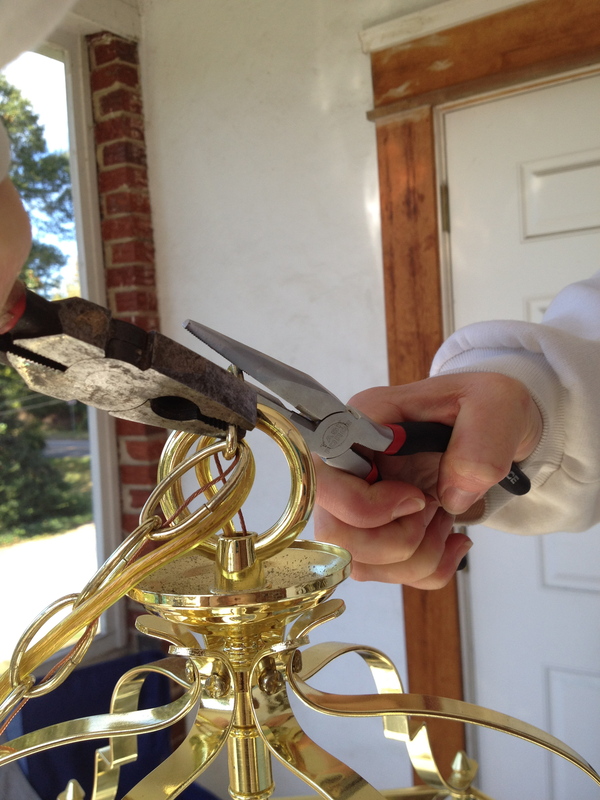 The old ceiling mount fixture was #1 on my hit list, and it had to go. I wanted something large-scale, that did not obstruct the visual space, something that said WOW! I wanted the room to have a cottage feel. I wanted it to feel warm and cozy and different. 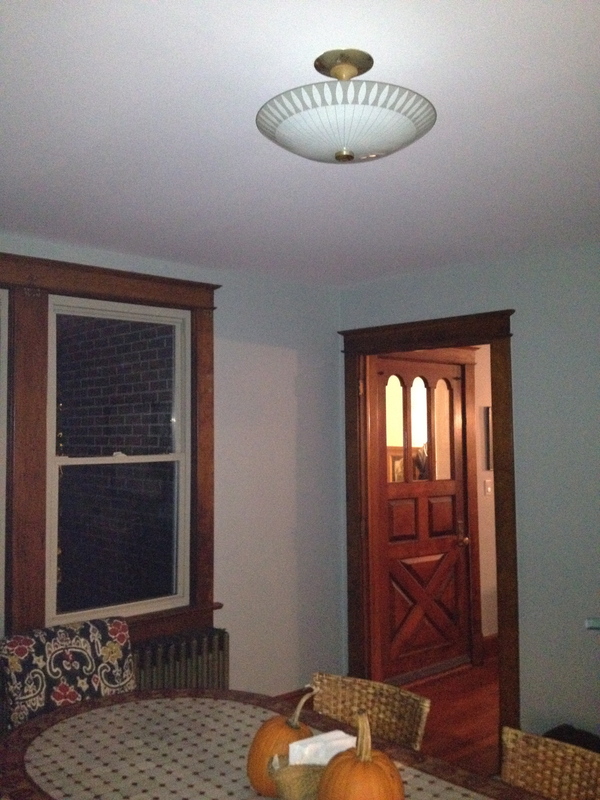 Dining room light, before. The Hit List. I eventually found one that was perfect, although not exactly. I had to transform it from it’s original brass finish before it would be perfect. 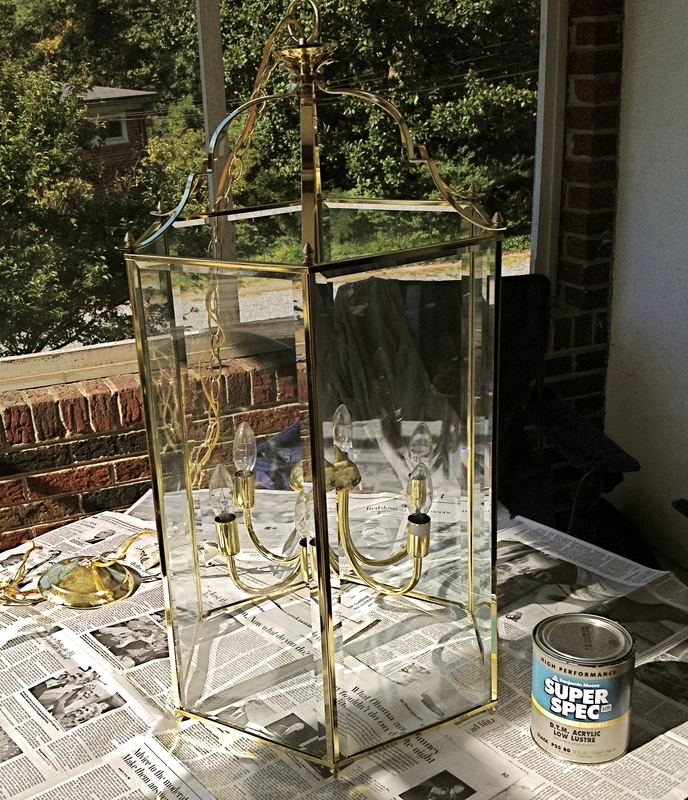 It was a lantern that would capture the feel I was going for. It was hexagon-shaped, oversized with delicate lines and would do nicely in my dining room. I rescued it from Community Forklift. It cost $119. I did not know whether to be happy or sad about it. I liked my version, and it must have been a good idea, but really? Did they have to go and ruin what I thought was an original-ish idea? At least I could take comfort in the fact that they had not painted theirs first and it cost three times what I had paid at Community Forklift for mine. My light was recycled to boot. Most likely, it is a strange combination of all of the above. 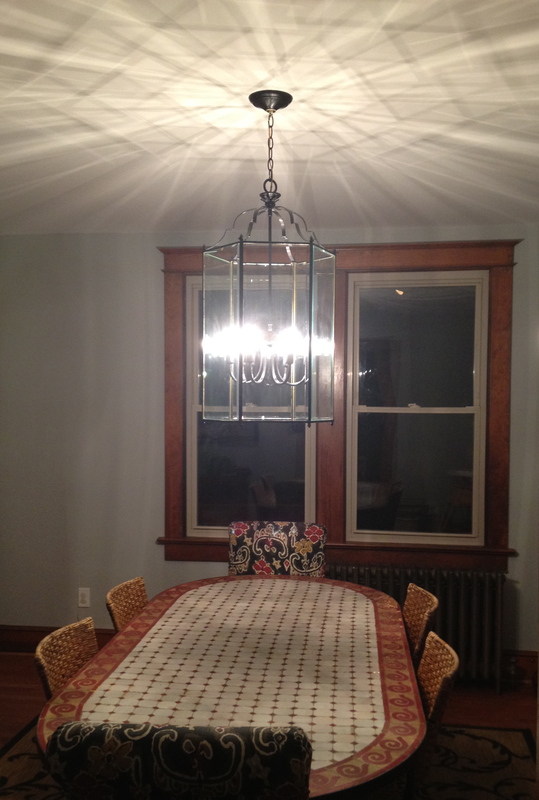 I am thrilled with the way my dining room looks, but this project wore me down. Next time, I may just buy it directly from Pottery Barn and save myself the trouble. But where is the fun in that? The change is amazing just from painting it. It looks so good, as is everything you do. Thanks everyone! I am happy with it.